The Stillman Valley Chess team poses with the fourth place trophy they earned in a national contest. 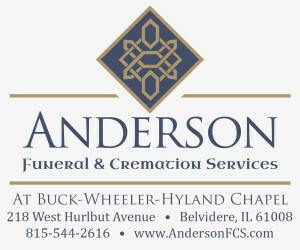 Teams members included Jack Henson, John Michigan, Judy Kohler, Shane Engelkens and Casey Madeen. Stillman Valley students shine at the US Chess Federation National High School Championships held at the Renaissance Convention Center in Schaumburg on March 15, 16 and 17. Seventeen hundred students from all over the United States competed in eight divisions of expertise in seven rounds of matches held over the three-day period. The Stillman Valley Students competed in the Unrated Division, which is made up of 36 schools with 198 students from all over the United States. 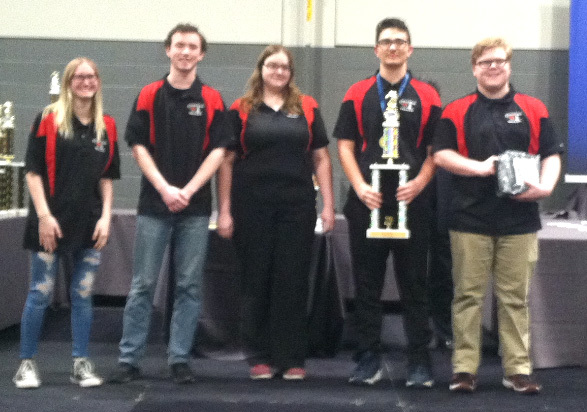 After seven rounds of competition, the Stillman Valley HS Team placed fourth out of 36 teams and received a trophy, individual medals and plaques for their efforts. Jack Hensen won 1st place with 6.5/7 wins and John Michigan placed 15th with 5.5/7 wins. Also competing was Judy Kohler (89th), Shane Engelkens (93rd) and Casey Madeen (186th). Stillman Valley is coached by Illinois State Chess Coach of the Year Phil Bratta and Carol Conderman. For a complete listing go to http://www.chess.org/tournaments/2019/hs.